GPS Made Easy tells you all you need to know about using handheld GPS receivers as a tool for accurate navigation in the outdoors. 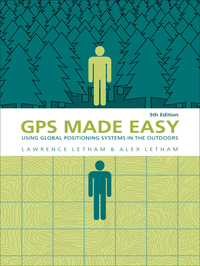 It explains how GPS works, describes the features of GPS receivers, and gives practical examples of how to use GPS receivers in a variety of outdoor situations. The author, Lawrence Letham, lives in Arizona and is an avid camper and hiker who has always been fascinated by maps and by the art of navigation. An electrical engineer, who designs integrated circuits, his favourite outdoor tool is his GPS receiver.